Keith Urtel has joined Miami-based MBAF (FY14 net revenue of $89 million) as a principal in the audit department and risk advisory team, covering the New York-Miami corridor. Urtel joins MBAF with more than 34 years of experience leading audit engagements for public and private organizations ranging from Fortune 500 companies to privately held entities. In his role at MBAF, Urtel will oversee quality control and help grow the firm’s risk advisory practice. “Keith’s wealth of knowledge in quality control standards and risk advisory, coupled with his strong track record in providing audit services make him an asset to our audit department and to our clients,” says MP Antonio Argiz. 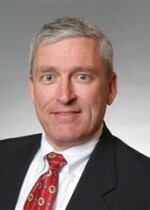 Prior to joining MBAF, Urtel worked as an audit partner at a Big 4 accounting firm.